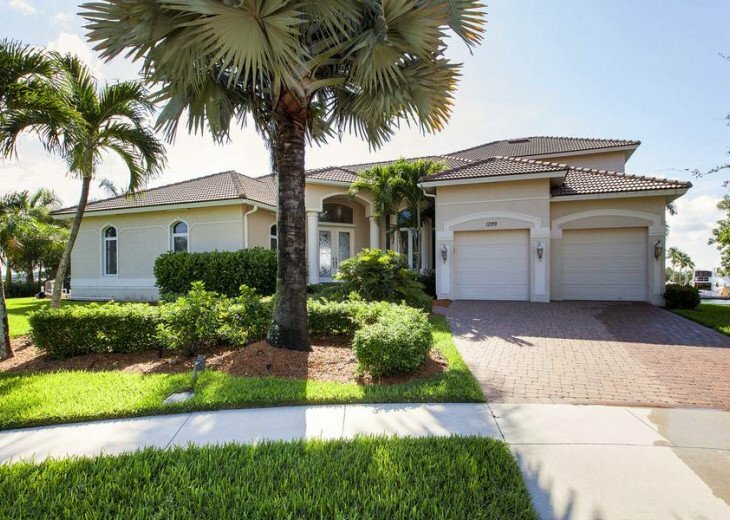 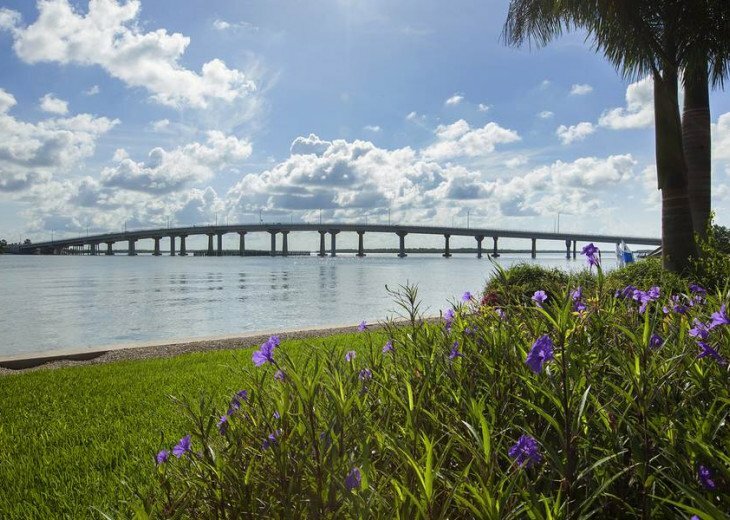 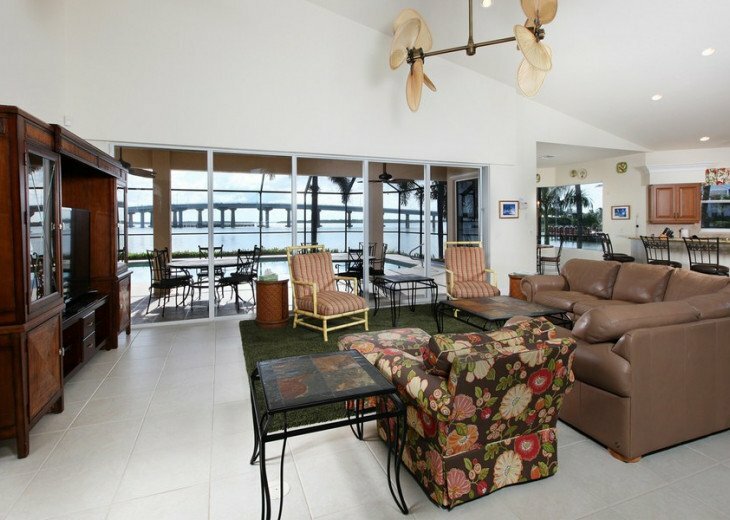 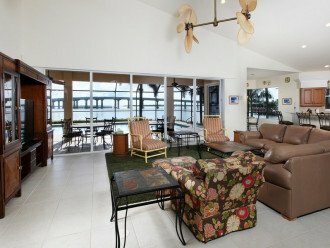 Beautiful 2 story five bedroom home with breathtaking views of the Marco River. 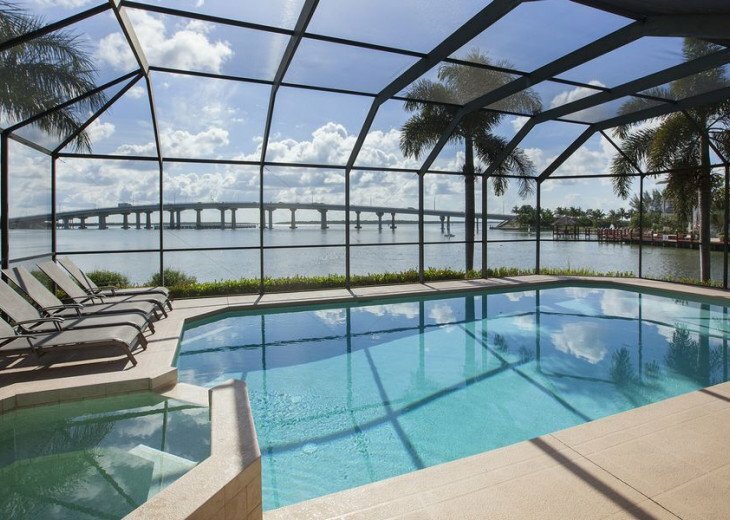 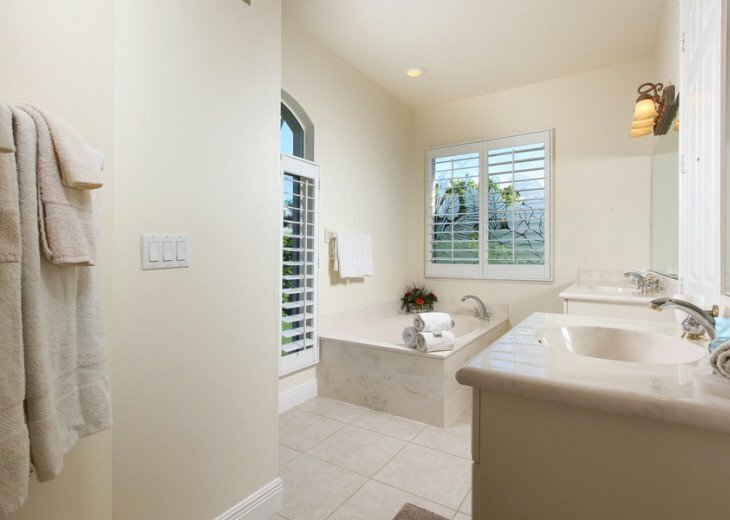 Take a refreshing dip in the oversized heated pool or spa within the large screened lanai. 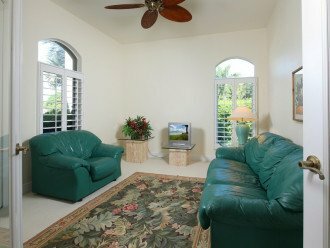 The Great Room features leather sectional with three arm chairs, and a large screened TV. 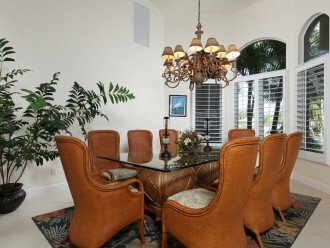 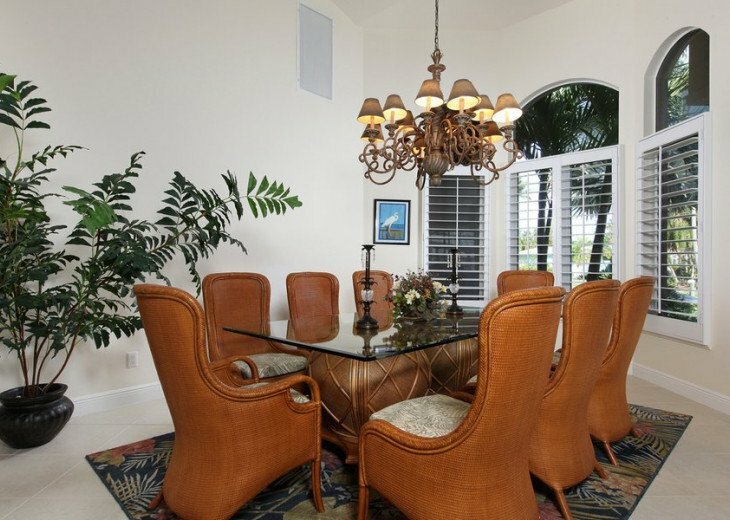 The Dining Area is furnished with a Tommy Bahama style table with eight chairs. 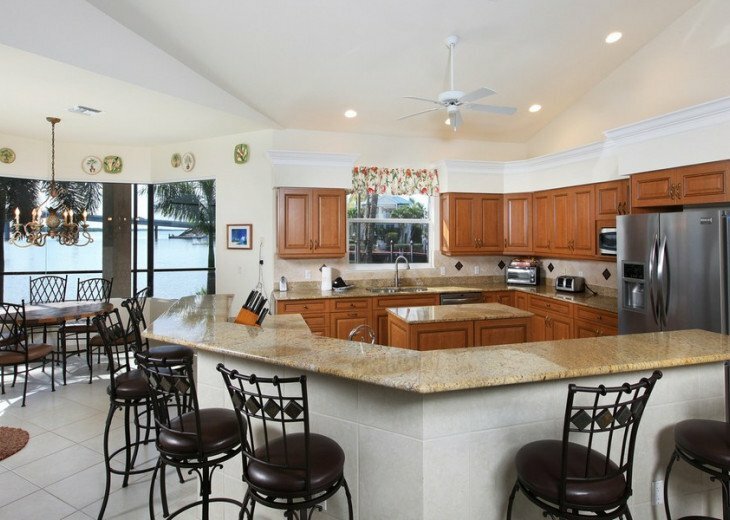 Breakfast bar has six stools and the breakfast nook has a table that will seat six people comfortably. 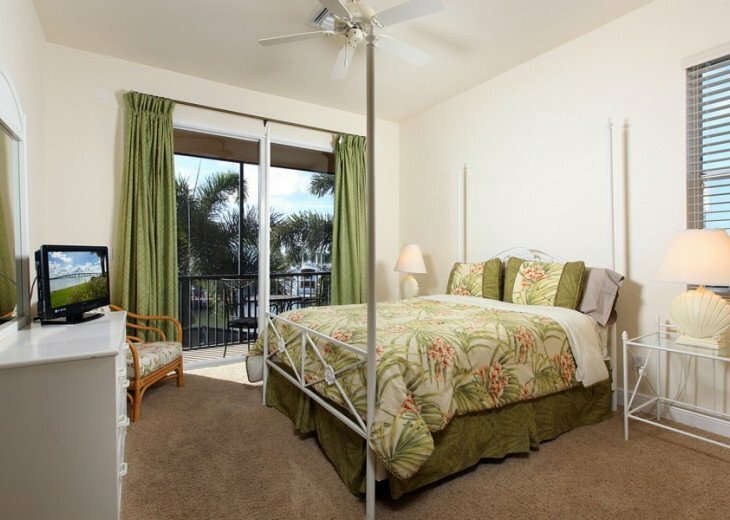 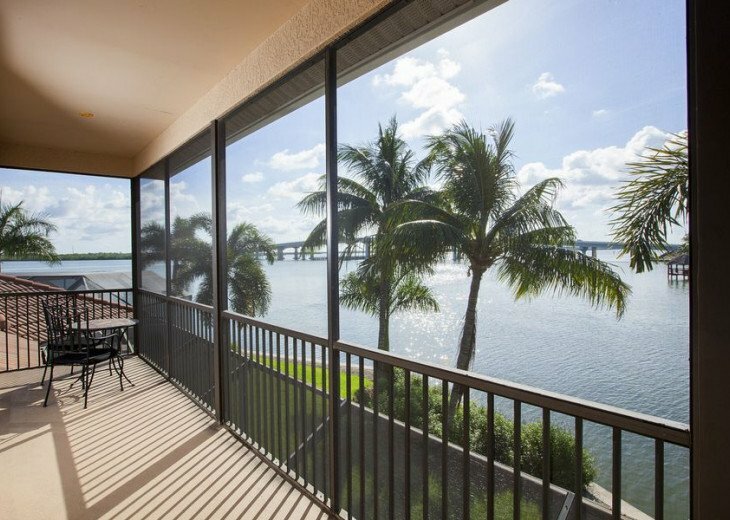 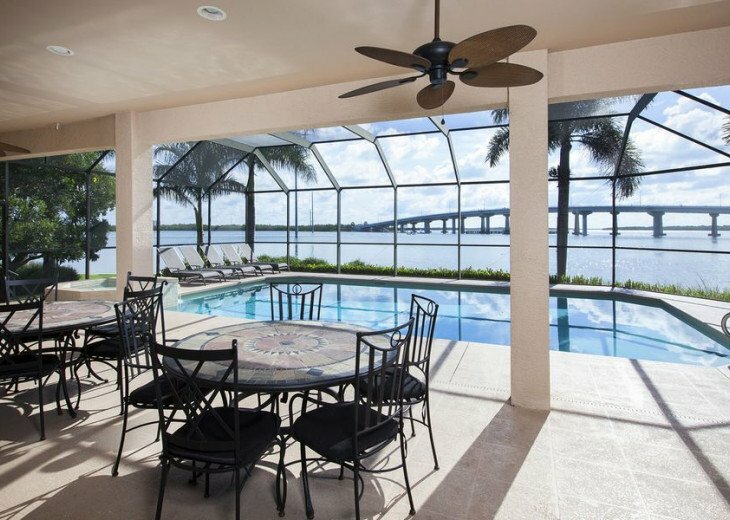 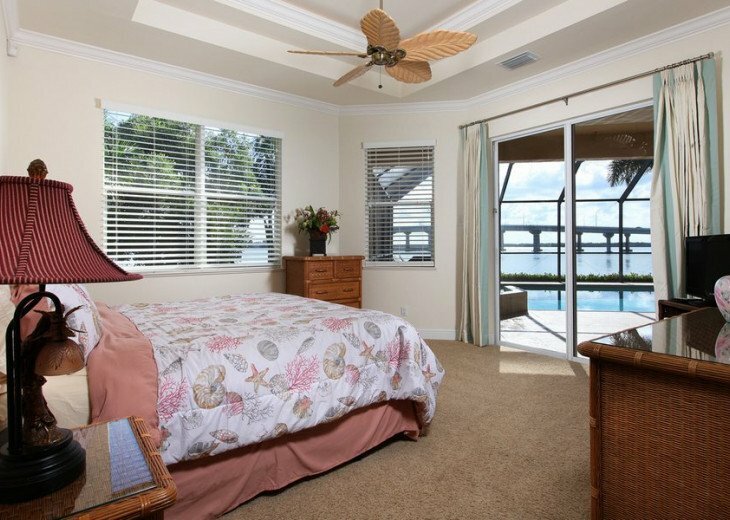 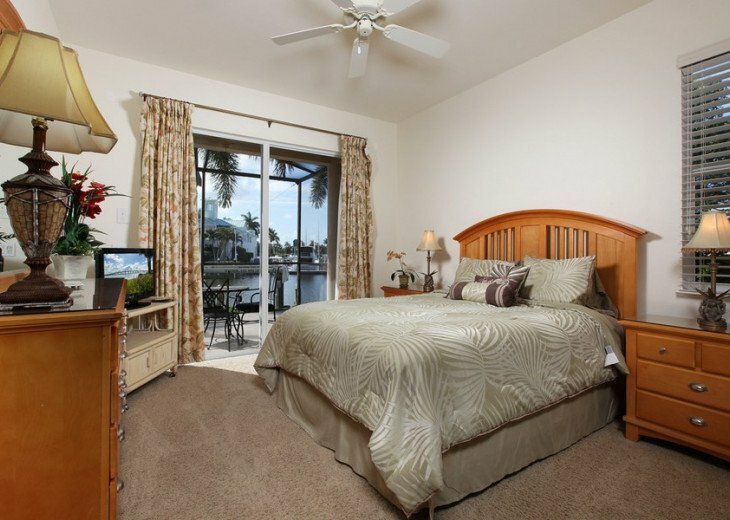 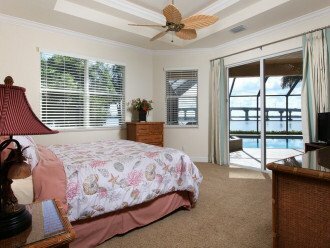 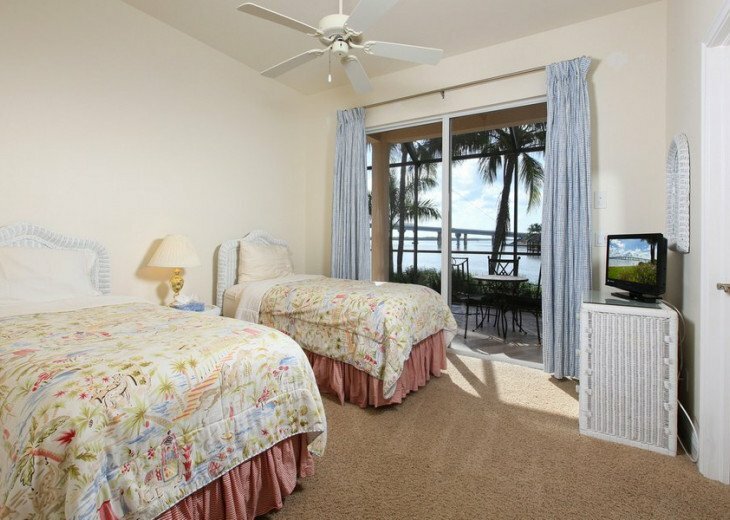 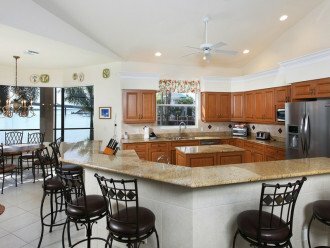 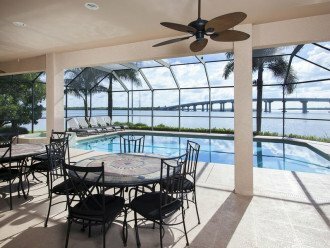 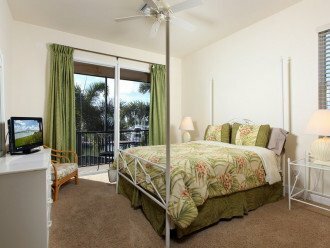 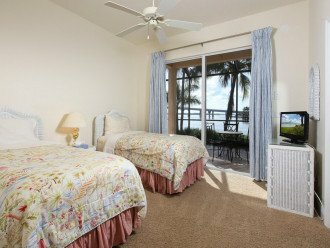 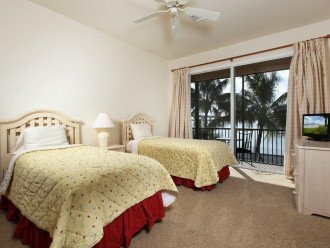 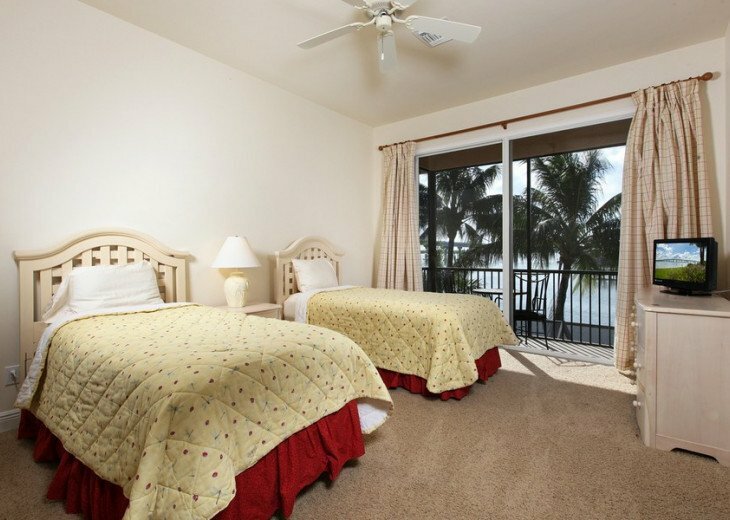 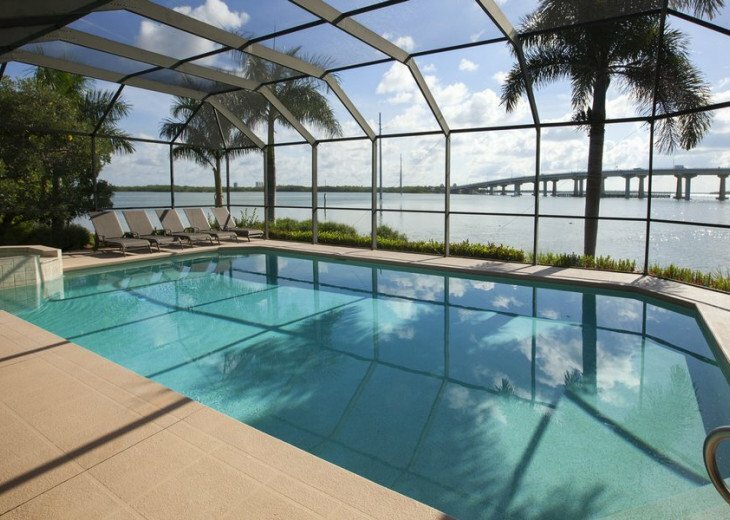 It also has a large panoramic window for you to enjoy the dolphins play and manatee swim by. 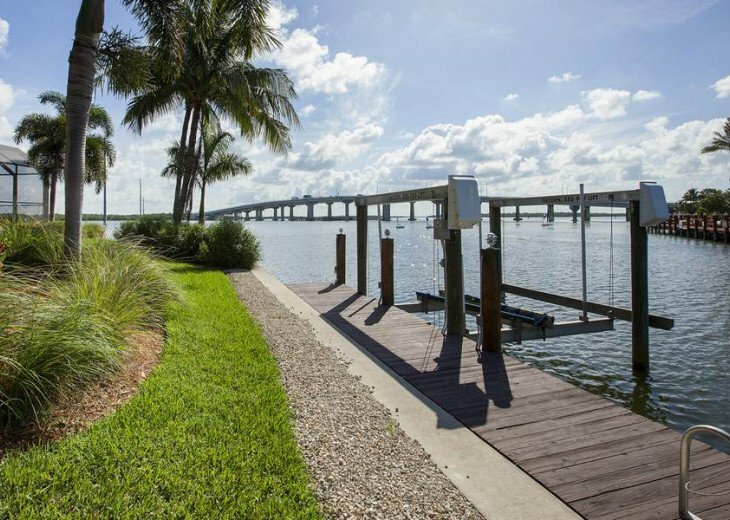 This house also features a 12,000 lb boat lift and dock for your use. 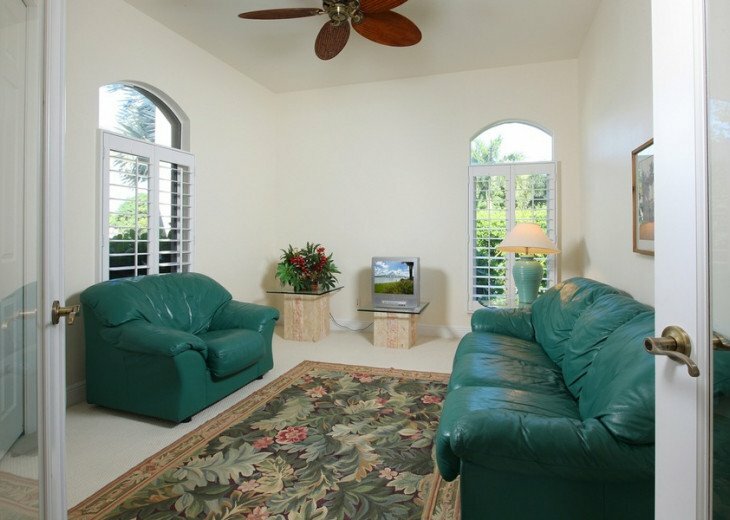 For the little ones three booster chairs are provided as well as two pak n plays. 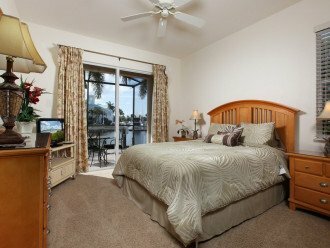 Please Note, If runners need to be moved to accommodate a wide boat, the expense of doing so is the responsibility and cost of the guest. 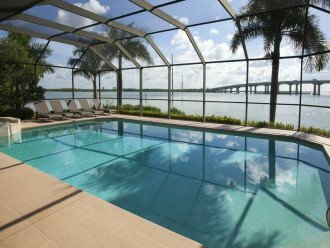 Due to Hurricane Irma screen cage was heavily damaged so there is temporary fencing around the perimeter but no screen.